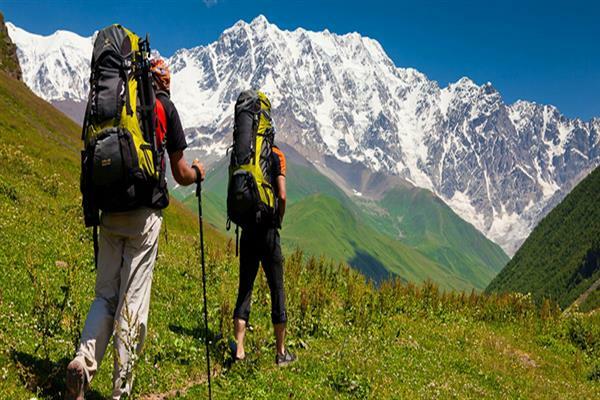 SRINAGAR, AUGUST 31 (KNO) : To facilitate adventure tourism in the State, the department of tourism is in the process of finalizing the first ever guidelines for adventure activities being carried out by various agencies. Secretary Tourism, Rigzian Sampheal said J&K has huge potential in adventure tourism and many domestic and international tourists visit the state for adventure activities, "but unlike other states we never had adventure tourism guidelines". “We want to frame the guidelines as per GoI norms and are aimed at setting high standards for carrying out adventure sports activities which will help us in tapping huge potential of adventure tourism which has not been properly harnessed due to lack of standard regulation and safety norms. It is therefore important to have proper guidelines for this important tourism segment which attracts good number of tourists and locals also,” said Rigzin Sampheal. Before the draft guidelines framed by the department are finalized, the department is inviting feedback from the stakeholders and the general public so as to have comprehensive guidelines for carrying out adventure activities in the State. The department has asked the stakeholders and the general public to send their feedback to the Directorate office at Jammu or in Srinagar within 15 days. Based on the feedback, which would be scrutinized, the department would formally launch the guidelines.